Children at Ringwood Junior School have had the opportunity to participate in many activities this year to help them to develop as historians, encouraging them to ask enquiring questions about the past. Creating timelines has helped the children to develop a deeper understanding of chronology and history learning within the school begins with prehistory in Year 3 with a study of the Stone Age and the Iron Age. 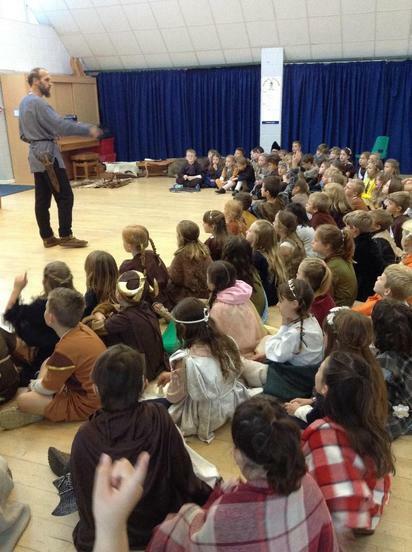 Year 3 children had a fantastic day with Matt Russell exploring artefacts and finding out about life in the Iron Age. Across the school children have been making good use of our new history artefact boxes. 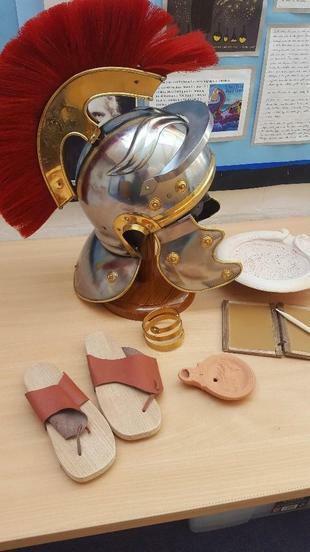 Children in Year 4 have been exploring the artefact boxes to help them understand about life during the Roman, Anglo Saxon and Viking periods in history. Whilst handling and exploring the artefacts children have been encouraged to think about their provenance and to pose questions how they many have been used in the past or whom they may have been owned by. In Year 5 children completed an enquiry based project to find out about the shifting balance of power between the monarchy and parliament from the Magna Carta to present day. All the children thoroughly enjoyed this study which culminated with a fascinating visit to the Tower of London. Having learnt all about the geographical features of South America the children in year 5 then investigated the characteristics of the Mayan Empire. They have also considered how, if the Mayan Empire was so great, did it collapse and fall so rapidly. Children in Year 6 have also enjoyed finding out about the Ancient Greek way of life. They understand how paintings of pottery which depicted scenes from everyday life can help us to understand the past. They also learnt that life in Ancient Greece was not the same for all members of society. 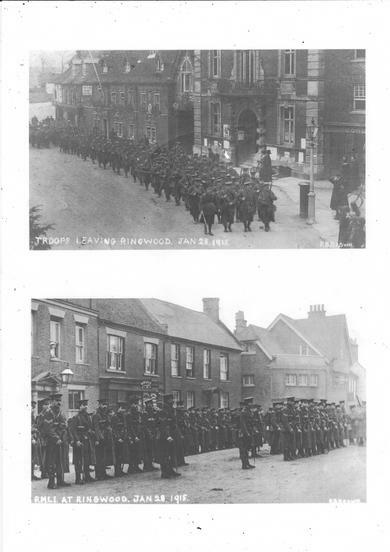 Whilst completing a local study, Year 6 children have learnt about Ringwood’s role in WW1. They understand how the war began and consider the impact it had on our town and locality. They explored how children at our school collected acorns for gun powder, women volunteered as nurses at Somerley House which became a hospital and local men volunteered to fight together. Through their study they understand the devastating impact of the war in Ringwood and towns and villages across the country. Opportunities to learn about key events or significant individuals in the past have also been provided through the use of challenging text in our English learning across the school. Just some examples are in Year 3 children have learnt about the life of Mary Anning and then having understood the features, created a biographical narrative of Marie Curie. In Year 4 children study the text Shakleton’s Journey to create their own descriptive writing as well as stories. Enquiry based learning at Ringwood Junior School allows children to be inquisitive and keen to find out about the past and how this influences the present. They will consider and ask questions about consequence, change, cause, similarities and differences. Pupils have opportunities to explore a wide range of primary and secondary sources and use these to think critically about what they discover and consider different perspectives. Children will develop an understanding of Britain’s past and the rise and fall of ancient civilisations in wider world history. As Historians, they will develop enquiring minds and the ability to empathise. The History curriculum has been designed to allow pupils to develop a strong sense of chronology beginning with prehistory, exploring ancient civilisations and thematic investigations through time. History lessons are normally taught in weekly lessons covering a unit over a period of 6-7 weeks. Opportunities for cross curricular are encouraged and many art outcomes in particular are linked to history units. In English high quality texts about historical events or significant individuals provide further opportunities for children to develop their understanding of the past. Assessment activities have been created for Teachers to assess at the end of each project allowing pupils to show their understanding of previous learning. Standards are monitored through learning walks by SLMT and governors, pupil conferencing, and book scrutiny.